An Antalya couple, dismissed from their offices as judge and prosecutor, were detained as part of an investigation into the Gulen movement. 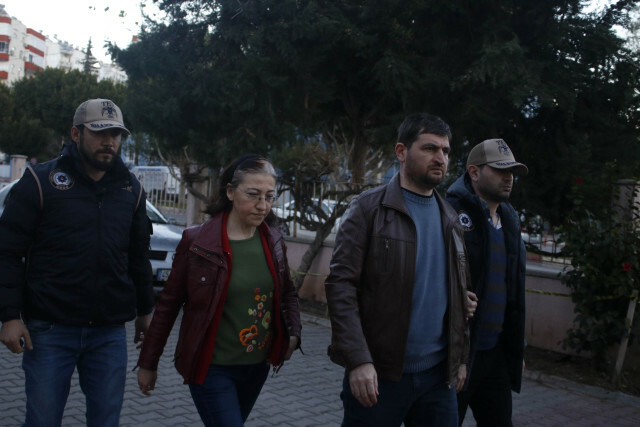 The former judge, identified as Ayse D., was rounded up along with her husband Hakan D., a former prosecutor, following a police raid at an apartment in Antalya’s Konyaalti district. The couple who was earlier dismissed from their jobs over Gulen links has been hiding at different places since a prosecutor issued arrest warrants against them just a day after the July 15, 2016 failed coup, state-run Anadolu news agency said Friday. Turkish government blames the movement for the coup while the latter denies involvement. The government also considers the group a terrorist organization and has arrested more than 60,000 people over Gulen ties, among them many judges and prosecutors as well as lawyers.